Shirt & Waistcoat: Zara. Trousers: Topshop. Shoes: M&S. Sunglasses: Miu Miu. Photo spam alert. Last Sunday I visited the world renowned Columbia Road Flower Market with my friend Bianca, which is tucked away in the East End of London. The usually rather average looking street comprised of cafes, pubs, antique shops and galleries is transformed into an unimaginable rainbow of colours and noise, with flowers piled high everywhere you turn! So, for this reason I hope you'll forgive me for the slightly unnecessary number of photos. (It was an instagrammers heaven I'm slightly ashamed to say..) I'm also extremely glad I remembered to take my hayfever tablet or it may have turned into a rather unpleasant, sniffly trip. Before visiting the market I also learned that interestingly, the market itself has been running every sunday since 1896 - how incredible is that? I saw several people buying bunches of flowers wrapped in brown paper, strapping them into the basket of their bike and cycling off! How I would've loved to be one of them - the cocktails that awaited me that evening meant that any flowers I may have bought would have had to survive through the rest of the day & evening, and would've possibly be left on the bus/tube after a drink too many..
My outfit was perhaps a bit lacking in colour for the occasion, but the weather man had assured me that it was going to be a rather dull and drizzly day! 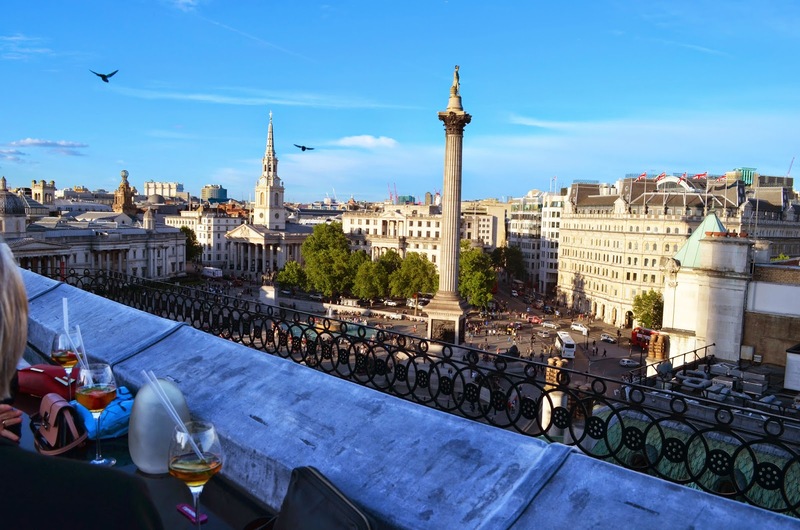 Although as you can see, the sky turned blue for our rooftop cocktails above Trafalgar Square where our two became four when we were joined by the lovely Maggie and Emmy. We then headed to The Diner where we consumed a shameful amount of cheesey fries. Such elegant behaviour, as always.. I feel my outfit served me well that day - it's rather hard to dress appropriately for a visit to a market followed by drinks later that evening. I think I managed it though, I didn't feel too ridiculous at either ocassion which can only be a good thing. 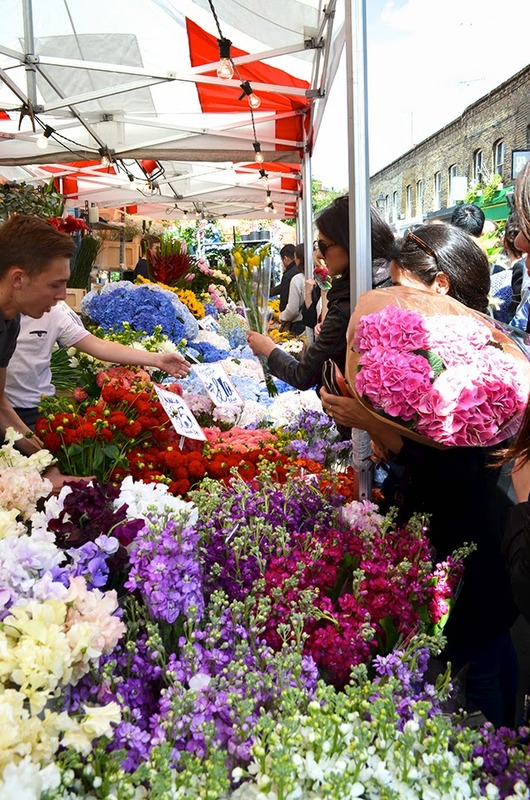 Have you ever visited Columbia Road Flower Market? If so, did you enjoy it? I'd love to hear your thoughts! Ah I wish I could raid your wardrobe! Sounds like you had a wonderful day! 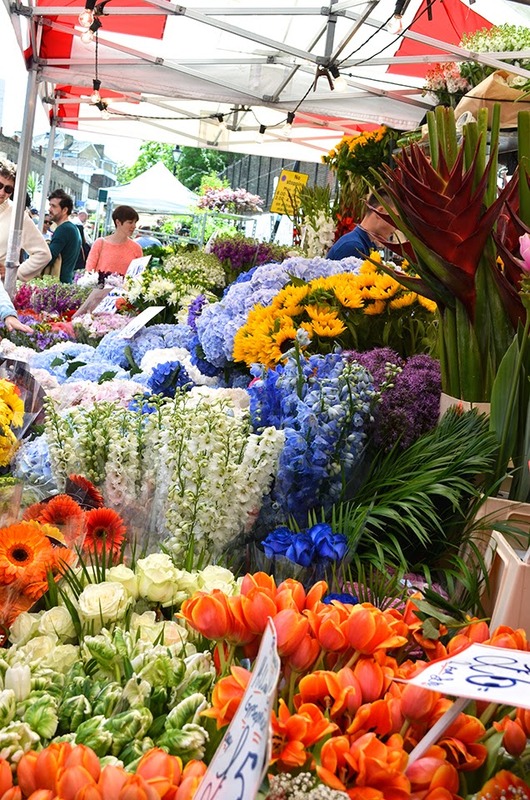 The flower market looks wonderful. I adore the classic white and black look and the pop of blue from your shoes....effortlessly chic as always Arabella! wow that is a flower lovers dream looks ( and probably smelled ) amazing! I thought your outfit was lovely, also it got rather chilly that evening on top of the Trafalgar so at least you were well wrapped up! All the flowers look beautiful! Lovely outfit too, so classy! This is meant to guide men to decide what men's trousers can and cannot be worn for varying occasions like job interviews, exhibition openings and more. It is meant to stop men from making major fashion delinquencies, and causing themselves discomfort. Chinos- Chinos are a comfortable style of leather trousers that are amazingly multipurpose.